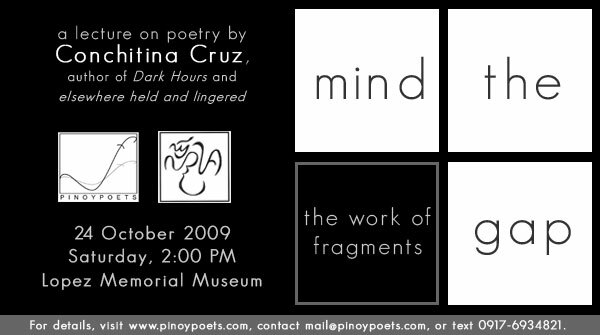 The Lopez Memorial Museum invites you to a talk by poet Conchitina Cruz entitled "Mind the Gap: The Work of Fragments" on Oct 24, 2009 (Saturday) at 2pm to be held at the Lopez Memorial Museum. 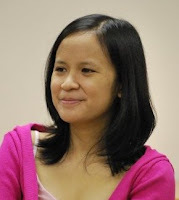 This event is free and open to the public, in cooperation with Pinoypoets. For more information, please call (632) 6312417.